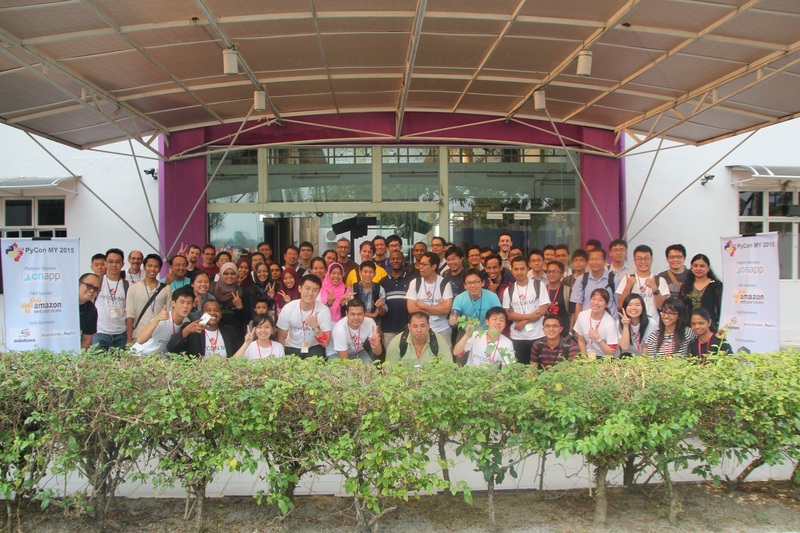 After a successful Mini PyCon back in 2014, PyCon Malaysia kick-started on 21st of August 2015; bringing together 108 registrants, 18 speakers in 21 informative sessions! Sponsored by a line of sponsors: Python Software Foundation (PSF), OnApp, SolutionsX, Braintree_PayPal, HITB, and Amazon Web Services, this three-day event consists of a workshop on the first day and conference on the next two days. The event was held at University of Malaya, Kuala Lumpur. According to the PyCon MY 2015 chairperson, Iqbal Abdullah, Kuala Lumpur served as an apt location for the conference; from ease of accommodation to transportation. 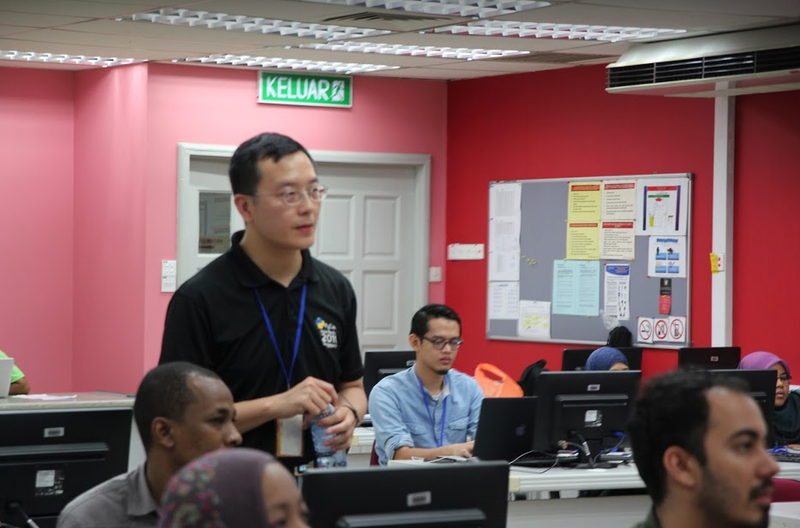 The one day workshop, which targeted non-programmers was conducted by Victor Yap. This workshop was able to give a glimpse of various practices of programming and its respective implementations in the current era. The attendees were also enlightened via demonstration, on how Python can be applied to mitigate real-world problems. The conference commenced with a short opening speech by the chairperson, followed by an ice-breaking session among the attendees. 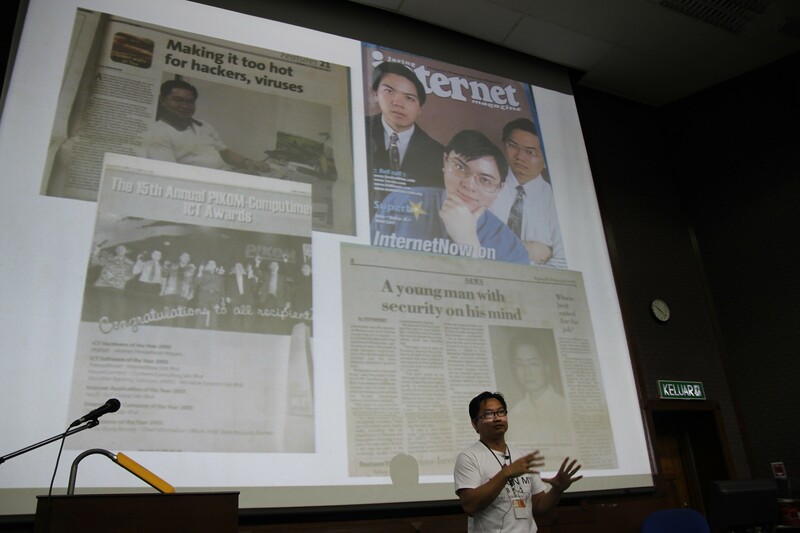 Our keynote speakers Marcus Low and Mark Rees spoke about how Python has changed their lives for good. Marcus indicated how widely Python is being used in popular applications like Instagram and PinInterest. Mark Rees on the other hand, provided insights of how programming has evolved since older days, and yet how Python still remained his favorite. 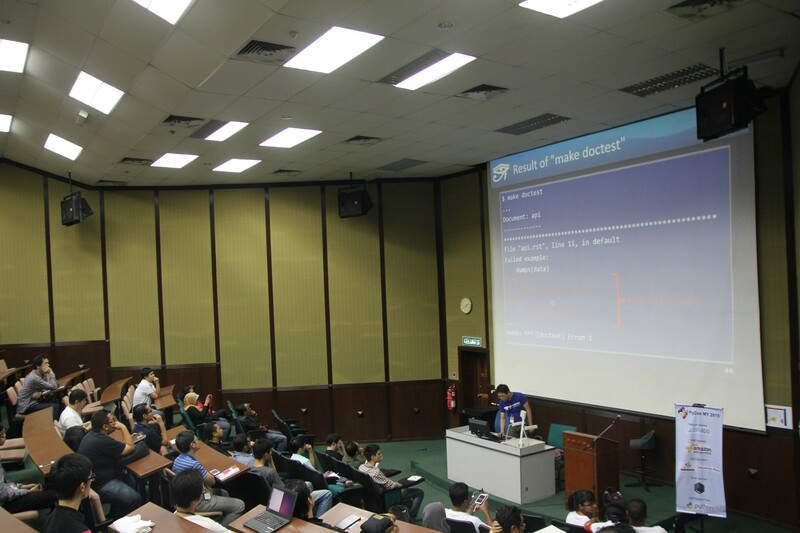 Speakers present for the two-day conference include Chew Kok Hoor, Boey Pak Cheong, Takayuki Shimizukawa, Alan Wong, Jeremy Johnson, Ian Lewis and many others covering topics such as concurrent programming, text processing in Python, exposure on Django, graph analysis, introduction to SQLAlchemy, writing documentation with Sphinx and rapid prototyping with Python. The whole event was indeed a successful one, thanks to the sponsors, dedicated organizing committee and cooperative participants! Malaysia will definitely welcome PyCon with open hands again next year!